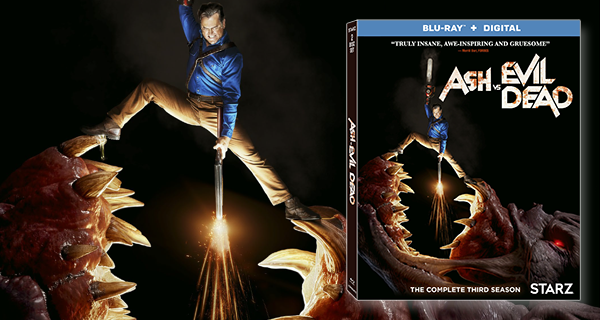 Ash (Bruce Campbell) reunited with his own dad in Season 2, so the next step is for him to come to terms with the realization that he is a father in Season 3. The growing pains of his relationship with daughter Brandy (Arielle Carver-O’Neill) make up the crux of the season for his character. Ash, the consummate loner, has to deal with being something he’s never been… responsible. If the show was going to end, it certainly ended in style as Ash and the Ghost Beaters, Kelly (Dana DeLorenzo) and Pablo (Ray Santiago), went up against Ruby (Lucy Lawless), who’s obsessed with killing Ash and having her hell-spawn rise to power. They’re joined in their quest to rid the world of evil by Dalton (Lindsay Farris), a member of the ancient Knights of Sumeria. While the show is known for its absurd humor and splatterific gore, it’s the writing and the characters that really shine through and lead to some amazing moments in a bittersweet final season. This was for three years my favorite show on television. It’s sad to see it go, especially since Season 3 was the best of the series from an acting, writing, and effects standpoint. 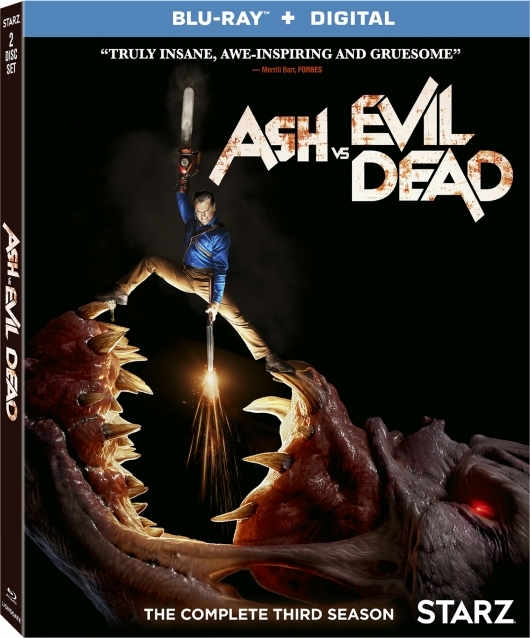 Fans of the show, the Evil Dead trilogy, and chainsaw enthusiasts will want this set in their collections.